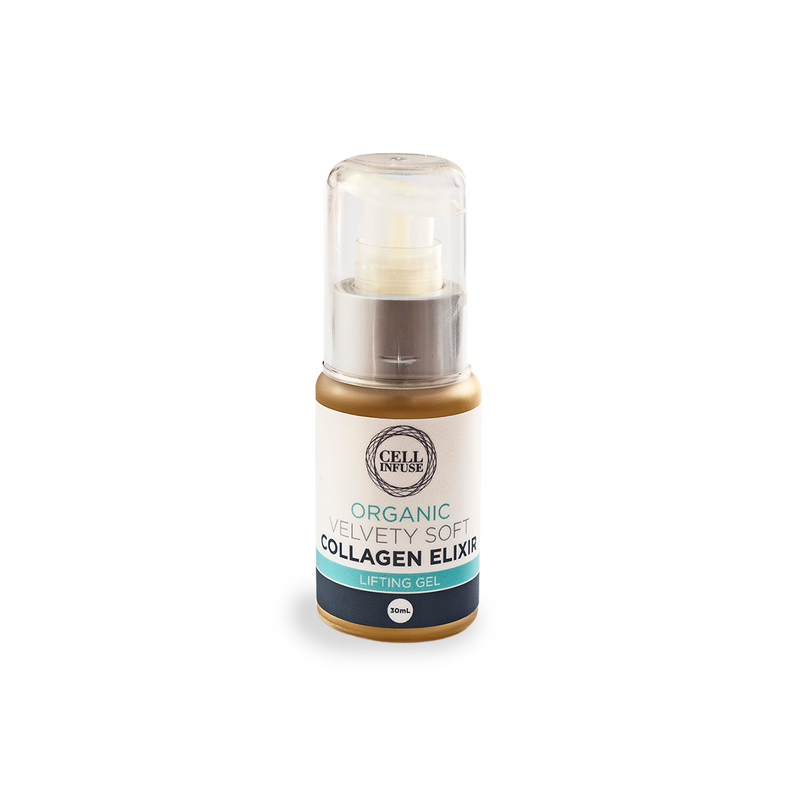 CELL INFUSE Organic Collagen Elixir is the latest product in our natural and organic skincare range. This natural skincare product is Anti-Aging, Collagen Enhancing, Brightening and Moisturizing for your skin. Assisting in firming, brightening and plumping, without surgery or Botox! 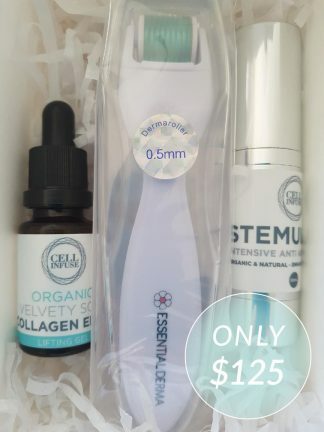 Capturing the most innovative skin care science today, this fully organic skincare formula makes it easy to look younger with this topical solution. CELL INFUSE Organic Collagen Elixir contains three powerful native Australian extracts – Concentrated Snowflower, Finger Lime Caviar and Kakadu Plum. All scientifically tested, our concentrated extracts of Phyto liquids are pure and stable. Not diluted, but 100% active, ensuring the benefits are in their truest form. Giving you more effective results than ever before. 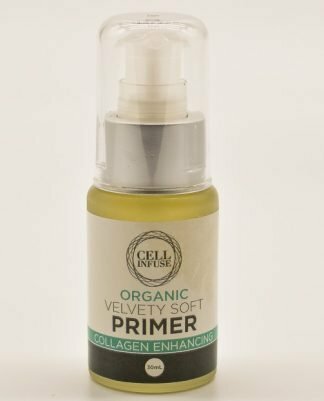 Organic Collagen Elixir Velvety Soft Lifting Gel is new from Cell Infuse. 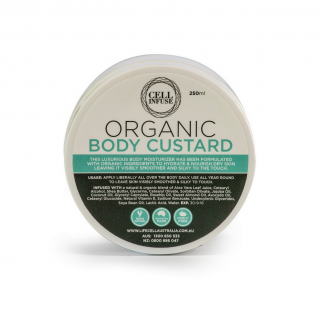 Full of concentrated organic extracts, you will see the amazing benefits from this natural skincare product. 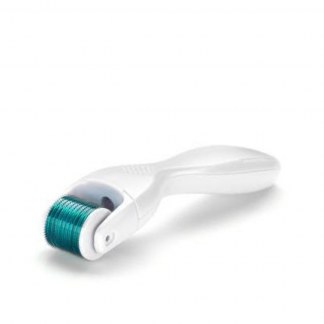 Are you looking to enhance Collagen, to brighten and bring back elastin into the skin? Do you want younger, firmer, plumper looking skin? Organic Collagen Elixir enhances collagen and elasticity whilst smoothing out lines and wrinkles. Enjoy the results! 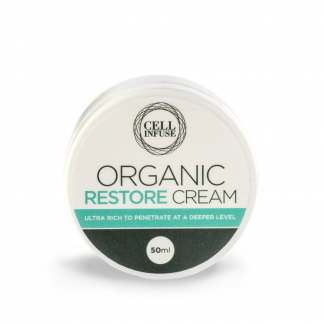 This product contains concentrated Organic Extracts. The unique extraction process these extracts go through allows us to offer fresh un-preserved extracts. This gives you the confidence that your product is 100% pure and active. The extracts in our Organic Collagen Elixir – Snowflower, Finger lime Caviar, Kakadu Plum, Papaya, Aloe Vera and Wattle. Snowflower Extract concentration – contains super antioxidants called catechins which are 100 times more potent …than vitamin C and 25 times more potent than vitamin E.
Kakadu Plum – this special fruit has recently made global Cosmetic breakthroughs with it’s water-soluble phyto-actives and recording the world’s highest source of Vitamin C.
Scientifically tested, our concentrated extracts Phyto liquids are pure and stable. Historically, many ‘active ingredients’ have been diluted or contain additives – ours do not. This ensures their benefits have not been compromised and products that contain our extracts in their truest form will be more effective than ever before. They are 100% active. Not many companies will go this far. Cell Infuse Organic Collagen Elixir can also be applied over or under DAYTIME or STEMULATE. Use prior and after dermal rolling.